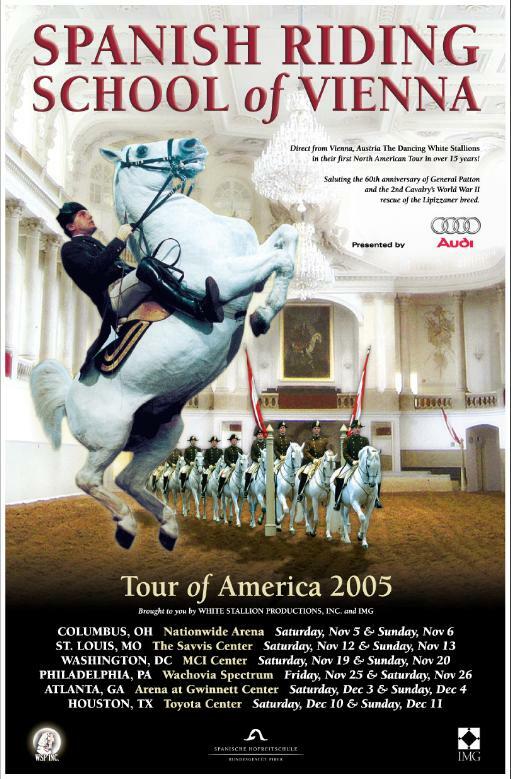 Design for national and regional ad campaign for the Spanish Riding School of Vienna's historic 2005 American Tour. 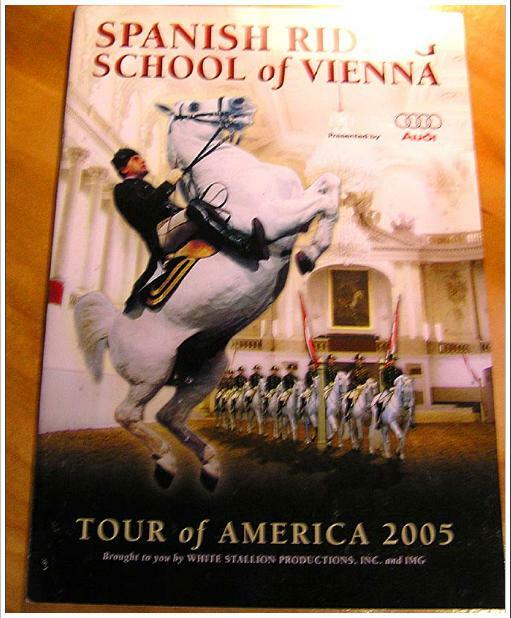 In addition to designing all advertising for this tour, I also had the privelege of creating laminates, press kits, t-shirts, and several other pieces of merchandise - including the thirty-six page tour program pictured below, which can be downloaded here. 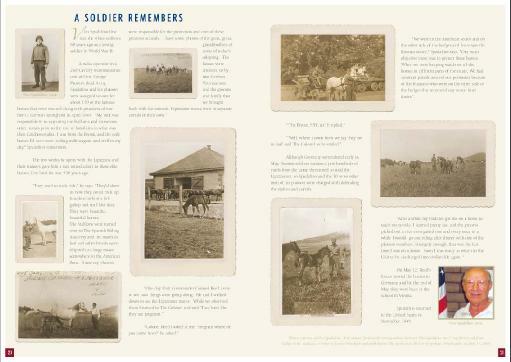 BELOW: Sample spreads from the Tour Program. 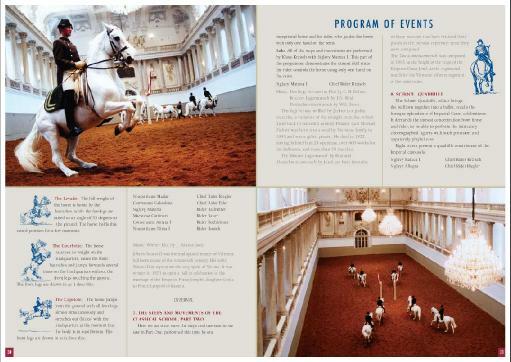 For more samples of text-heavy work, visit the Global Ascent Consulting page here, the Bangkok Square page here, and the Lipizzaner Stallions page here.